My name is Sarah and I am the Operations Manager at Travel & Leisure Group and have been for the past six years. It is a challenging job that I enjoy very much. 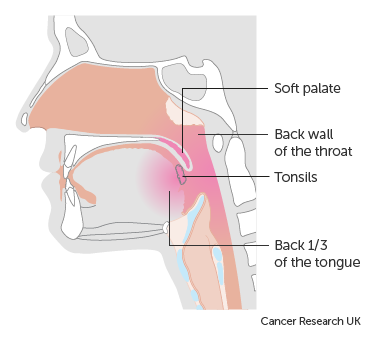 In June of this year, after many months of feeling run down I was diagnosed with stage 2/3 cancer of the throat, squamous cell carcinoma. At the age of 43 with a young son still at home, it really hit home to me how young I still am and I took a long hard look at my life and realised how much I had actually missed out on. You see, life just takes hold, sweeps you along and it seems you never get round to doing the things you truly WANT to do, just the things you NEED to do. So much is taken for granted, things that you didn’t really notice before, such as people, places, nature and simply taking quality time for your loved ones and yourself. In fact, having spent the past 21 years working in the timeshare resale industry you’d assume I’d taken advantage of all the opportunities I had available to me and travelled to so many wonderful places around the world. Although over the years I have been to some beautiful places, both for work and pleasure, I most definitely only touched the tip of the iceberg so to speak! The amount of times I could have used the company’s timeshare portfolio or the exchange programmes, such as RCI, Interval International or Dial an Exchange but didn’t. It is only now I see I really did have the world at my fingertips. Since my diagnosis, I have now had the tumour removed and undergone radiotherapy treatment, so all being well, I definitely intend to live life to the full and take nothing for granted again. One of my main goals is to travel more with my family. This is why organisations such as Cancer Research UK play such an important role in helping those suffering with the disease to beat it. Also MacMillan Cancer Support, who have been a tremendous support to me, from diagnoses, during until treatment and beyond. In fact they will always be there for anyone who is or has suffered with Cancer at any point in their life, no matter how many years ago it was. I was immediately dedicated a nurse who was there with me at appointments and call if I needed to talk something through or if I simply needed emotional support. They offer wonderful advice from treatment to employment/benefits and will even help you financially if required. The information they provide you is invaluable. I am a member of their wonderful forum that has many others who suffer from the same type of cancer. You can talk to a Radiographer, Oncologist or Doctor any time, day or night. I never really appreciated the tireless work they did before, now I can’t say enough about this wonderful charity. They’re amazing. I have many options really, especially if I want to travel to different places. So whether I decide to buy fixed or floating week and exchange or take advantage of one of the points products such as Diamond Resorts or Club La Costa that not only offer hundreds of resorts worldwide, but weekend breaks, hotels and cruises too; until I make my decision my plan is to rent timeshare as you can’t beat the quality nor the value when comparing to traditional travel products.